Please note that the Zambezi Cycle Challenge 2019 has been cancelled by the organisers. However, they have stated that they do plan on resurrecting this event for 2020. Follow their Facebook page to stay up to date. 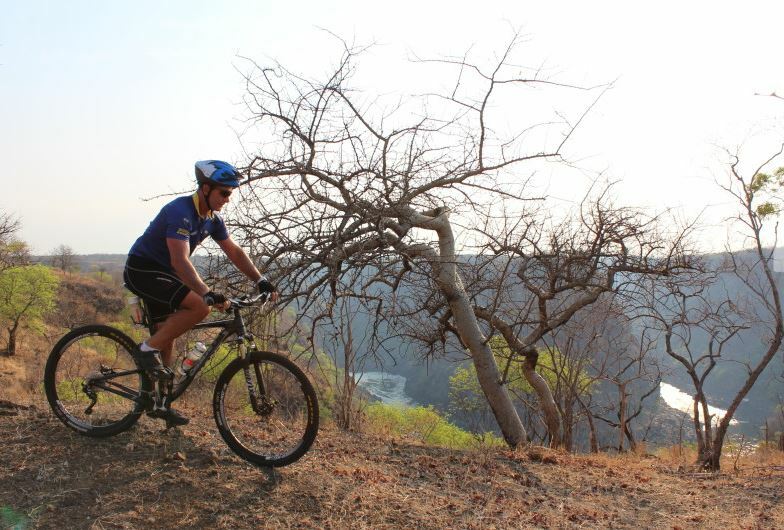 The Zambezi Cycle Challenge is a fitting event for conservationists as well as those who seek a thrilling and challenging cycling activity in Victoria Falls. It is a fundraising event which aims to raise funs in order to preserve the wellbeing of Victoria Falls and the surrounding environment. To read more about the beneficiaries of this event, click here. "Teams will be required to be made up of at least two members, but the race organisers will consider single applicants for as long as they agree to be grouped with other cyclists of a similar ability." 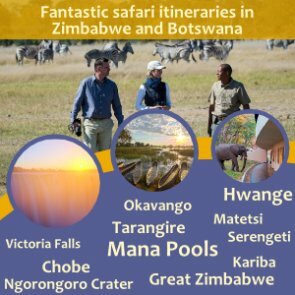 Add on a few days and enjoy Helicopter flights, Canoeing, Rafting, Elephant back safaris or for the wild at heart some gorge swinging or bungee jumping. Packages are available through us. On this day, all riders start about 40 minutes along the main highway, passing through the Masue River, elephant paths and old hunting tracks, on the way back to Victoria Falls. On day 2, riders begin the ride 35kms out on the Kazungula Road, and make their way back to Victoria Falls from Westwood Vlei, through the Zambezi National Park, and along the Zambezi River! A fantastic privilege for all the riders. This day is all about single track, the gorge and the Zambezi below the Victoria Falls. You’ll literally be riding on the edge of the gorge at times! Registration is now open and you can do so at this link. You will find diagrams of the routes for all three cycling days here. The registration desk will be open at Elephant Hills Hotel from 12.00hrs and then move to the Victoria Falls Boat Club at 16.00hrs. The welcome, safety and race briefing will be done at the Victoria Falls Boat Club at 18.00hrs. It is compulsory for all participants to attend this briefing. Dinner and drinks are available after the briefing at the Boat Club and buses will shuttle riders back to Elephant Hills at the end of the evening. Dinner is included, but drinks are at own expense. Most importantly for those who do not have their own transport to the start, please ensure that your bikes have been delivered to The Kingdom Hotel before 16.00 and are put on the bike racks available to you, so that they are loaded on the trucks that will deliver them to the start the following morning. Bikes will be loaded the night before and entrants will depart the hotel at 6 am. The road transfer will take approximately 40 minutes along the Bulawayo Road. We aim to start the Days ride at 7.15am. The ride will immediately take us down into the Westwood Vlei and follow double and single tracks through the Matetsi private concession down to the Zambezi river and into the Zambezi National Park. From here the route follows the river with the odd loop inland on a combination of gravel, single and double track all the way to The Kingdom Hotel. Free afternoon at Leisure. Braai and drinks will be available at the finish at own expense. Meet at 18.00pm for the Day 2 briefing. Make sure your bikes are delivered to The Kingdom Hotel by 16.00hrs for loading if you do not have your own transport to get to the starting point for Day 2. Your Bikes will be transported to the starting point which will be about 35kms from Vic Falls on the Kazungula Road. Riders will depart from The Kingdom Hotel at 6.00 and the race will start once the safety marshals have given their Ok. The ride will immediately take us down into the Westwood Vlei and follow double and single tracks through the Matetsi private concession down to the Zambezi river and into the Zambezi National Park. From here the route follows the river with the odd loop inland on a combination of gravel, single and double track all the way to The Kingdom Hotel. Free afternoon at your own leisure. Briefing for Day 3 at 18.00 hrs at The Kingdom Hotel. Make sure your bikes are delivered to Elephant Hills by 16.00hrs for loading if you do not have your own transport to get to the starting point for Day 2. The buses will leave the Hotel at 6 am and transfer you to today’s start, approximately 30kms downstream from the Victoria Falls themselves. It’s just about all single track and the most technically challenging day of the event. The start has a 3 km stretch on gravel before entering a gentle single track through the rural villages. You will then enter the Wild Horizons National Park concession and enjoy a single track that is at times meandering and pleasant to technical and potentially dangerous. Interspersed regularly along this route are (some) breath taking views of the Zambezi river way below. 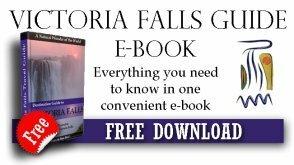 As you approach the end of the ride, you will be greeted by the thunder and spray of the Victoria Falls before the final stretch to The Kingdom Hotel. This afternoon is spent relaxing and soothing tired muscles before meeting at 3.30pm for transportation to the sundowner cruise. The cruise takes place on the river above the falls and lasts until just after sunset. The cruise drops us off at the gala dinner venue on the banks of the Zambezi where we will enjoy prize giving, dinner and drinks. • Minimum age requirement for any cyclist is 16 years of age and a maximum of 70 years of age, unless permission has been requested and granted by both a medical practitioner and the event organisers. • Safety approved riding helmets are compulsory (gloves are recommended). • All cyclists must be in good health and of good fitness. Whilst cyclist in the groups may not be racing & do not have to be a super cyclist to enter, you do need to be fit & healthy with training & preparation to be able to enter. • Cyclists must have completed at least 1 mountain bike event in the past 9 months covering a min of 70km. 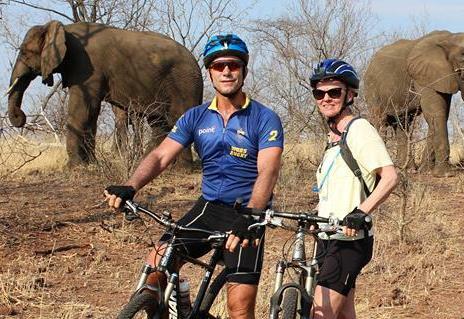 • The cycle tour may take you into close contact with wild animals. 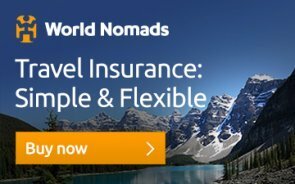 Neither the organisers, the sponsors, their employees, partners nor agents can be held responsible for any injury or incident on the tour. • For more important terms and conditions, visit this page.